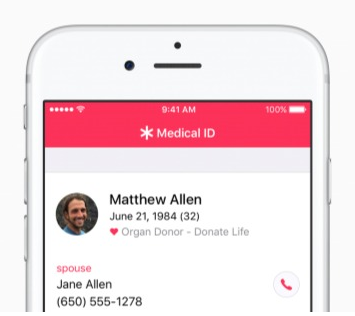 Apple wants to encourage millions of iPhone iOS 10 owners to register as organ donors through a software update that will add an easy sign-up button to the health information app that comes installed on every smartphone the company makes. CEO Tim Cook says he hopes the new software, set for limited release this month, will help ease a critical and longstanding donor shortage. He said the problem hit home when his friend and former boss, Apple co-founder Steve Jobs, endured an “excruciating” wait for a liver transplant in 2009. “Watching and seeing him every day, waiting and not knowing — it stuck with me and left an impression that I’ll never forget,” Cook told The Associated Press. Cook was so concerned that he offered to donate part of his own liver, although Jobs refused. Jobs died of complications from pancreatic cancer in 2011, two years after receiving a liver transplant in Tennessee that was credited with extending his life. He enrolled in that state’s registry after doctors advised him the lengthy waiting list in California meant he wouldn’t live long enough to get one in his home state. 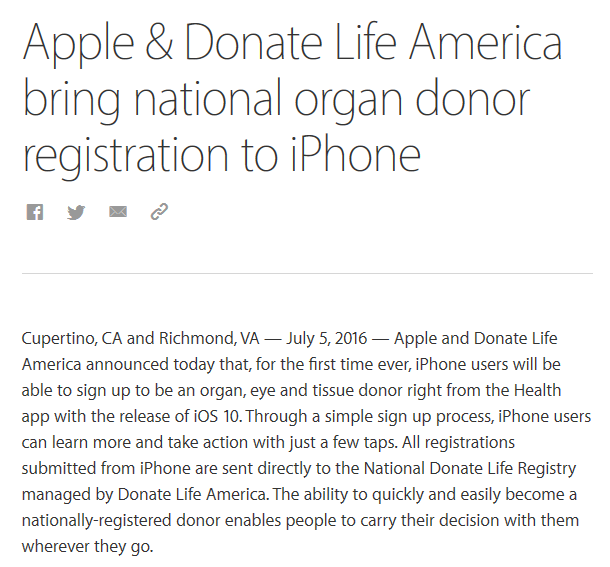 Apple is adding the option to register with Donate Life by clicking a new button within the iPhone’s Health app, which was introduced in 2014 as a tool for recording and managing a variety of health and fitness data. Another new button will link to information about organ donation. If a user registers as a donor, the app can add that fact to an optional “emergency information” display that can be seen when the phone is locked. The software will come to all U.S.-based iPhones this fall when the company releases the next major update to Apple’s mobile operating system, known as iOS 10.